Encountering A Hard Day's Night for the first time is a little like George Martin's experience of meeting The Beatles themselves for the first time, in June of 1962: the charisma and comedy of The Beatles gets your attention just as much as (if not more than) the music. My reaction to seeing this movie for the first time was that The Beatles were every bit as funny as Monty Python's Flying Circus, and I was already a big fan of the Circus. In later years, this comparison proved to have some historical foundation: The Beatles and Python both had the same comedic wet nurse in The Goon Show (produced on record by The Beatles' producer George Martin, and directed for television by Richard Lester, director of A Hard Day's Night). Of course the comedy was good. However, A Hard Day's Night was meant to capture The Beatles and their personalities "in the raw," which meant capturing their very British, very Liverpudlian style of banter and joke-cracking. Script writer Alun Owen (himself a Liverpudlian) spent some time observing and interacting with The Beatles during their stay at the George V hotel in Paris, where they were booked for some 18 days of concerts at Olympia Theatre. Owen wasn't inventing character types for the film, he was drawing from real life studies. Which means, in the end, that a fair bit of the humor in A Hard Day's Night might go over the heads of those of us who aren't as familiar with Scouse culture, slang, and word-play. At the risk of violating the principle, "a joke isn't funny if you have to explain it," here are a few of my own "a-ha!" moments (and maybe a few misheard lines) while watching this great film over the years. "He'll cost you a fortune ..."
In the opening train scene, as Paul introduces his grandfather to the other Beatles, he admits that he's concerned about having to keep an eye on ol' Granddad, saying, "he'll cost you a fortune in Breach of Promise cases." Breach of Promise lawsuits mean next-to-nothing to us these days, but in Britain of the early 1960s, it was a different story. A Breach of Promise lawsuit was a means of defense for a woman who had accepted a marriage proposal, only to have her beau change his mind later and possibly leave her hung out to dry, financially speaking. The Breach of Promise lawsuit was a way for her to recover monetary damages. 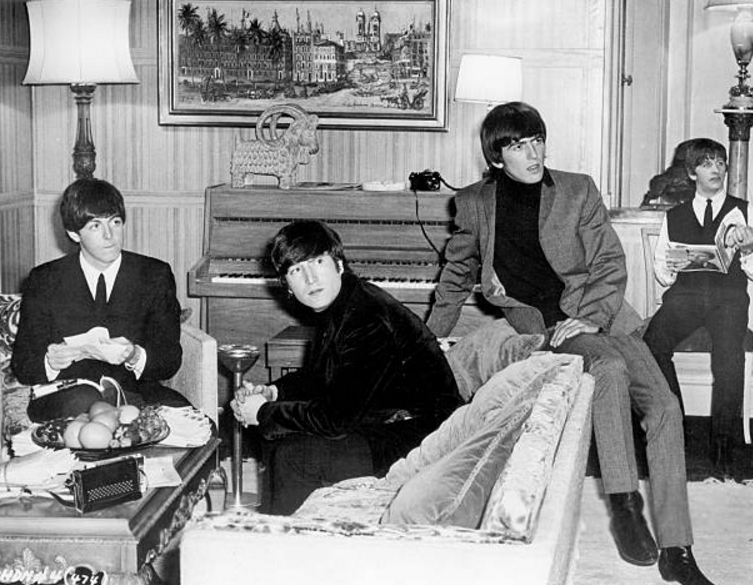 As the band decides leave a pile of unanswered fan mail at the hotel in favor of going to the club, Paul's grandfather steals Ringo's invitation card and sneaks out to go gambling at The Circle Club, where (as Paul read from the card earlier) the game is "Chemin de Fer Baccarat." Without going into the nitty and gritty of the game, suffice it to say that it plays a bit like Blackjack, where players are adding up card points to get as close as possible to a total (in Blackjack, it's 21, in Baccarat, it's nine). One player in each round is designated as "Banker," or "Banco" in French, and this comes up later in the scene. Just before The Beatles arrive to collect Paul's grandfather, a waiter approaches him with a tray of champagne and asks him, "Encore du champagne, monsieur?" (Which of course means, "more champagne, sir?") Clumsy as ever, Granddad responds, "Oh, yeah ... and I'll have some more champagne as well." As Granddad's night of gambling and carousing ends abruptly (he is forcibly dragged off by The Beatles), their manager Norm attempts to settle the bill, and is shocked at how high it is: "A hundred-and-eighty pounds?!" He is quickly corrected by the proprietor, "I beg your pardon, guineas." First, a bit of research: £180 in 1964 was worth about $600 USD, and adjusting for inflation, that $600 in 1964 would be worth roughly $4,700 today. Norm has good reason to be shocked at the bill Granddad has run up! To make matters worse, it's not £180, it's 180 guineas. The guinea was an old form of British currency, and worth slightly more than the pound. One guinea is the equivalent to £1.05, and therein lies the joke: £180 is bad enough -- but wait! -- it gets worse! The bill is actually £189 after converting from guineas. That sets us up for the next joke, where Paul's grandfather is given his winnings for the night, totaling £190 -- he's up on the night, if only by a single pound. But his winnings are quickly whisked away, and his complaint, "what about me change?! ", is met with the response, "cloak-room charge." At the end of the movie, as The Beatles rescue Ringo from the jail and barely make it to the television studio in time for the live show, Victor Spinetti's character as the producer says, "If you hadn't come back it would have meant ... The Epilogue ... or The News in Welsh ... for life." For years, I thought he meant "the epilogue," as in, "the end" or "the afterword," the "last page of my career." It turns out that he's referring to two actual British television shows, The Epilogue and The News in Welsh. The first was a short program that ended the broadcast day, airing late at night. The BBC web site explains that the show "initially comprised themed Bible readings but over time hymns were added." The second show is exactly what it sounds like: another short program where news headlines and major stories were briefly read out in the Welsh language, for the benefit of Welsh viewers. Spinetti's line is a not-so-subtle dig at British television and its weird collection of one-off programs. The train arrives at the station, and Norm comes rushing in to announce, "They've gone potty out there!" Yes, potty, not "party," as I always heard it. "Potty" is British slang for "crazy." When Ringo fails to get any fan mail at the hotel, Paul's grandfather blames it on his big nose, saying "fans are funny that way -- they'll take a dislike to things, they'll pick on a nose." I always heard that line as "they'll take it in slighter things." Blame the accent, I guess. While out parading, Ringo stops for a sandwich, but the bread is obviously hard and stale. The shop keeper insists, "that was fresh this morning -- two and nine." The "two and nine" is not, as I misunderstood it, a reference to a time or date. (Perhaps it was the time when the bread was baked?) She's stating the price of the sandwich in common British short-hand, "two (shillings) and nine (pence)." In other words, she's not having any of Ringo's whining, and in Americanese we might say: "that was fresh this morning -- that'll be five bucks." As they prepare to go on-stage to rehearse "I'm Happy Just to Dance with You", John grabs one of the female dancers and says, "I say, did you go to Harrods? I was there in '58, you know." It sounds like he's referring to a university, but as any "Englander" could tell you, Harrods is a department store. 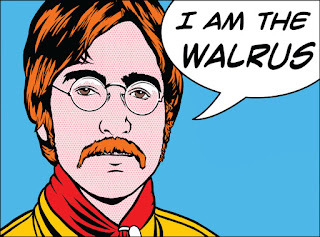 Silly John. And last, but certainly not least, throughout the film various characters blurt out an exclamation that sounds like either "Come, mad!" or "Come, lad!" At the hotel, for instance, after Norm and Shake leave the boys to answer fan mail, John gets up to leave, explaining, "Well he told us to stay, didn't he? Come, mad/lad!" This one's a Scouser-ism all the way: the phrase is "come ahead!" as in "come on! ", but in Scouse shorthand it becomes "come 'ead!" All this talk about the film ... am I the only one who needs to watch it again? 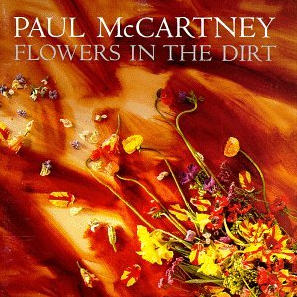 With Paul McCartney's Flowers in the Dirt slated to be the next release in "The Archive Collection" in just a couple of months (March 24, 2017), it seemed like a good time to rank Sir Paul's solo albums from the 1980's and see just where Flowers fits into the picture. Hint: it's at the top. The 1980's were not particularly kind to Paul, and Flowers came as a welcome breath of fresh air. You'll see why as you work through this list: Paul McCartney's albums of the 80's, ranked from worst to first. The album reeks of that particular 80's vibe every bit as much as McCartney II does, but it takes itself far more seriously than McCartney II, which makes it worse. At least McCartney II was homemade and almost purposefully kitschy. Press is trying to be an actual studio album. Everyone hated it, hardly anyone bought it, and frankly, it's more like "Press to Skip," am I right? This is a bad album. Seriously bad. Like, so bad, it comes all the way back around and starts to become good again. Paul was fresh off a marijuana bust in Japan that had scared him silly, so he ditched Wings and holed up in his home studio with some synthesizers and sequencers and just went nuts. And that's what this album is: it's like hanging out in your stoned roommate's bedroom and watching him dink around with a keyboard for hours while you mindlessly pick at the wallpaper and wonder if Kevin will forget to pick up the orange juice again. The saving graces that put this album ahead of Press? It's got "Coming Up," for starters. "Temporary Secretary" is kinda catchy after a while, "Summer's Day Song" is wonderfully melodic and had the potential to be a beautiful choral piece, and "One of These Days" finds McCartney in his solo acoustic element. It could have been a really good track, with slightly different production. The album is a novelty. Not everyday listening, but fun once in a while. Just don't forget: it's awful. What do you do when your last album (Press to Play) crashed and burned like a Samsung Galaxy Note 7? You retreat for the cover of ... well, covers. This album is all cover songs, old rock standards like "Twenty Flight Rock" and "That's All Right Mama." But it's fairly uninspiring, and in his Beatles days, Paul once brought a lot more life, energy, and fire to these types of classic tunes. It's an ok album, but when you're Paul McCartney, composer of "Yesterday," "Eleanor Rigby," "Let it Be," etc., you can do better. Write your own songs, man. Ok, we're getting to the slightly better material here. The title song is decent enough, even if 1983 is a bit late in the game to be singing peace, love, and all-the-children-round-the-world type of songs. Of course, the "Say, Say, Say" duet with Michael Jackson was a number one hit, and that gives the album extra points all by itself. But after that, it's fairly forgettable material. "So Bad" is sentimental and sweet, but it also sounds exactly like it was written and recorded in 1983. Oh well, at least this album isn't Press to Play. Ohmygosh you guys, this movie was sooooooo bad, but you've got to see it at least once just to say you've seen it. This album is the accompanying soundtrack, and it's 98 percent made up of songs Paul had previously recorded, now re-recorded and produced with the Power of 80's Studio Magic. Want to hear "Good Day Sunshine" re-recorded and mixed with a more electric-sounding piano, vocals washed in reverb and flange-y effects, and over-processed drums? How about "Yesterday," except recorded with horns instead of the iconic strings? Yeah, you'll love this album, then. However, it does contain the mega-hit "No More Lonely Nights," and unlike with CHOBA B CCCP, Paul makes the correct choice with this album: if you're going to record a bunch of covers and you're Paul McCartney, you might as well record covers of your own songs. It's not a front-to-back jaw-dropper like, for instance, Band on the Run, but it has a solid run of really good songs: "Tug of War," "Take it Away," "Wanderlust," "Here Today" (Paul's emotional tribute to his recently-murdered mate, John Lennon), "Ebony and Ivory" (you can't go wrong asking Stevie Wonder to be your duet partner), and even "Ballroom Dancing" is a bit of crazy fun. Definitely one of Paul's best offerings from the 80's. I would almost rank this second and give Tug of War top billing, except for the historical context. Tug of War landed at the beginning of the 80's and was followed by a lot of very mediocre McCartney albums. Flowers in the Dirt was every bit as good as Tug of War, and it brought a dramatic end to a decade of not-so-great records because of how Paul went about accomplishing the task: he embraced his Beatle past. To begin with, he collaborated with Elvis Costello on the songwriting (Costello, of course, being a fellow Liverpudlian who biographer Peter Carlin called in Paul McCartney: A Life, "the songwriter critics compared most readily to [John Lennon]"). Then there was the music video for the song's opening track, "My Brave Face," which featured shots of Paul playing his iconic Hofner "violin bass" for the first time in nearly two decades -- and these shots were interspersed with private film footage of The Beatles being all young and silly. As Carlin wrote, the message was clear: "This Paul is that Paul. And now he's back to being the most Beatle-y of the Beatles, the act you've known for all these years!" The opening track is extremely strong, and tunes like "Put it There," "Figure of Eight," "This One," "Rough Ride," and "Distractions" keep the listener engaged -- even if the rest of the album can be a bit meandering. Paul paired the new album with his first world tour since Wings Over the World (yes, it had been over a decade since his last world tour), and just like that, Paul McCartney was back in business. That's why this album stands out among Paul's 1980's offerings, even above Tug of War. So, who's ready for the release of the remaster? Review by John Firehammer and originally published in Beatlefan magazine. Adapted with permission. Meet the Beatles - that was likely the top aspiration of many a teenage girl in 1964 - and Marti Edwards is one who actually pulled it off. Her book, co-authored with Joe Carroccio, zeroes in on the moment she met John, Paul, George and Ringo in the flesh. 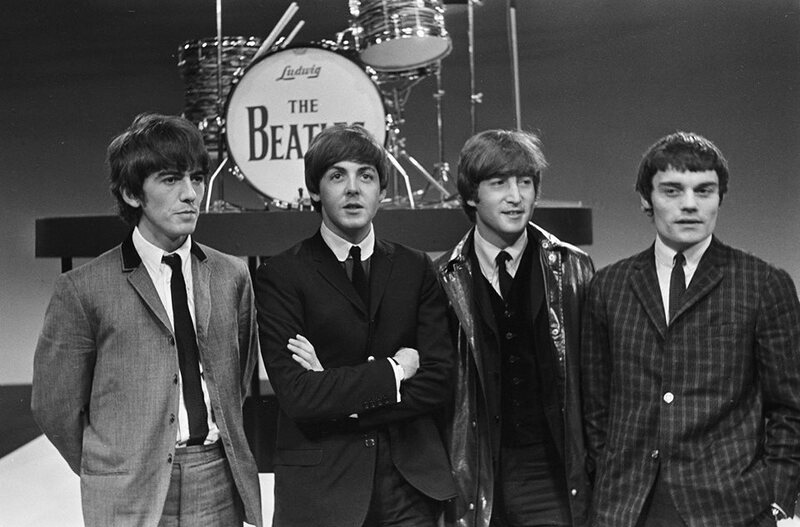 The occasion was a press conference held ahead of the band's Sept. 5 performance at the Chicago International Amphitheater, and Marti was there at the invitation of Beatles press manager Derek Taylor, himself. Edwards' recounting of the brief meeting, and photographs of the event, are the highlight of this slender book, which also documents all the drama leading up to it. Edward was a co-founder and the president of the 1,000-member Chicagoland Beatles People Fan Club, which hatched the idea of presenting the Beatles with a commemorative plaque once they hit town. There's drama as Edwards and friends are invited to the conference by a promoter, but are then told they can't attend. Marti and a friend decide to bring the plaque to the conference anyway, to see if they can get in, and it's only through a chance meeting between her dad and Taylor, in a bar near the concert venue, that they are able to get in. All of this is fleshed out with details of the times and Edwards' recollections of growing up in the 1960s. It's a fun, quick read. 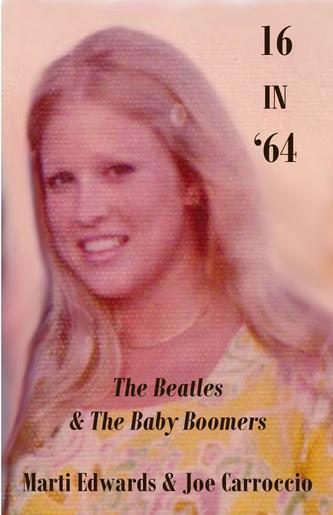 Edwards spent only a few moments in the Beates' presence, but her account provides a good sense of what it was like to be a fervent fan during the height of Beatlemania. Days In The Life by Aaron Krerowicz & John Krerowicz. AK Books, Carmel, IN. 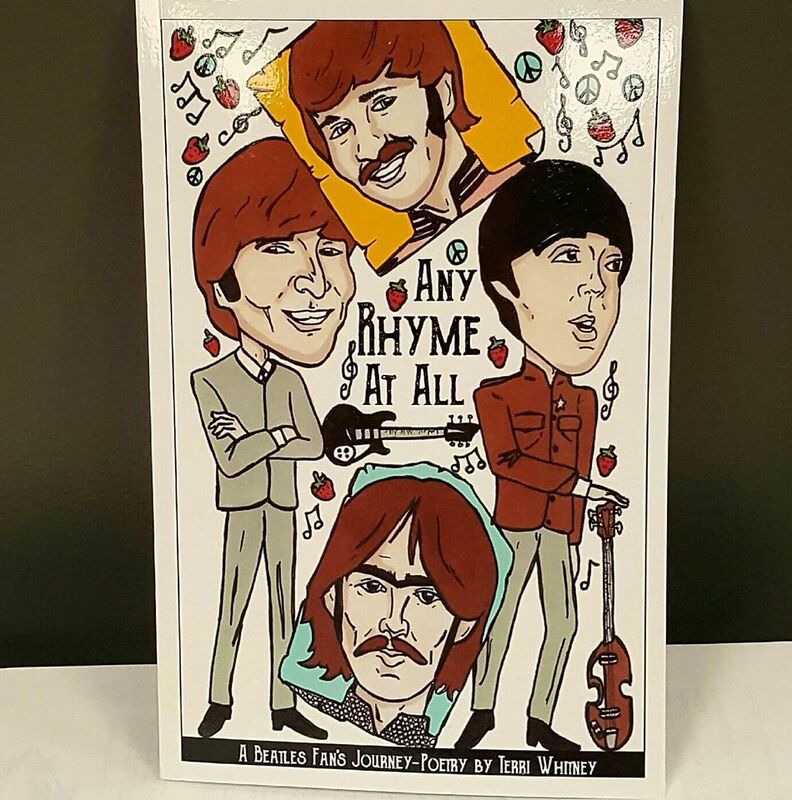 Professional Beatles scholar Aaron Krerowicz has published a book as unique as his job title. "Days in the Life" focuses on the unusual topic of a son (Aaron) and father (John) criss-crossing the country on a Beatles lecture tour. Aaron, an academic and music expert who has published three previous books about the Beatles, does the talking. John, a retired newspaper reporter, does the driving. There's much discussion of the Beatles, of course, but also, oddly, baseball and birding. More so than a book about the Beatles' history and music, this is a story about a father and son, and how the band's music binds them. John is a first-generation fan, who witnessed the Beatles on the "Ed Sullivan Show" as a young boy. Aaron, meanwhile, is a child of the 1990s, born years after John Lennon's death. Both men write different sections of the book, recounting their views on the Beatles and the events of the lecture tour. There are fun passages in which older fans, who where 'there," challenge Aaron's authority to lecture them about the band, but soon find out they know less than he. Meanwhile, John presents nice memories of what it was like experiencing the Beatles in real time during the 1960s. He recounts buying The Beatles' Second Album while on a trip to the store with his mother, and eagerly peeling the cellophane off the LP's cover while still in the car, impatient to get home and put it on the record player. The pair's writing is fun and engaging, but this is a very specialized book - likely not of much interest to someone with only a casual interest in the Beatles. 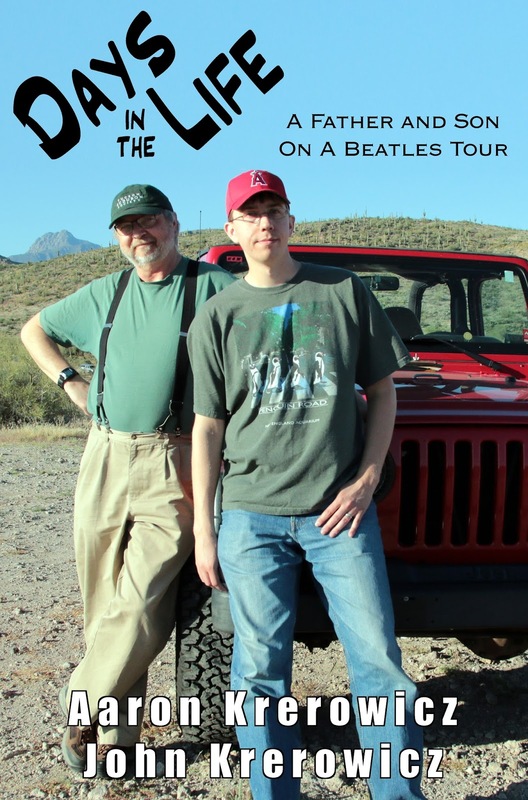 Yet it serves as a nice memento for those attending Aaron's lecture events and should be enjoyable to anyone who, like this father and son, has experienced the magical multi-generational appeal of the Beatles.